The Maressa in Lilac is a J. Renee classic stiletto heel. 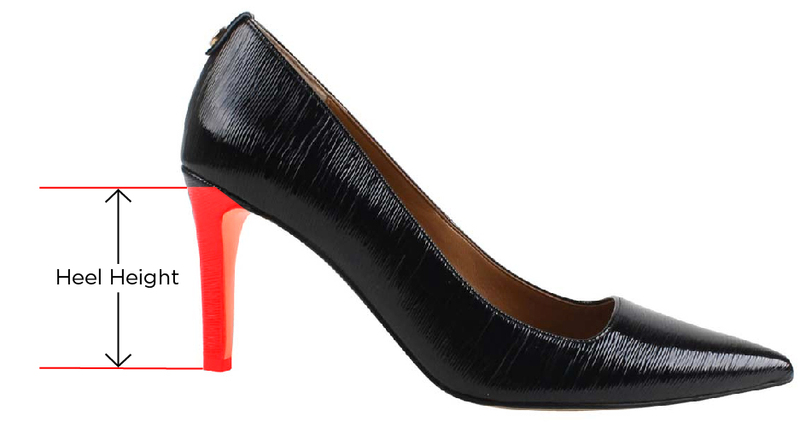 This versatile heel is a must-have in your pointed toe heel collection. Just ordered my first pair, can't wait! When I phoned customer service, she was surprised I was as open in my TG Girl lifestyle. I am so excited about adding these pretty heels to my closet. I have numerous new summer outfits and the white patent heels will be just perfect. Living in Florida, this will be a perfect color long into autumn. Thank you J Renee for remembering those of us women with slightly wider feet. I Love this shoe! I have them in blue, green, black, placid blue! And my purple ones are on the way! I don't know why the black run smaller than the other colors, But I love them anyway. They are a must have ladies. I brought this shoe in orange - love Love LOVE it!! Now I'm going to get the RED and blue.. something about stilettos makes your legs look good!!!! I have several pair of J. Renee shoes and love them all. The Maressa style is not only classy but comfortable. A great shoe for business and dressy affairs as well! I have the purple, plan to order other colors! I LOVE this shoe!! It can go high class in a dress, business in slacks, or casual in jeans!! My foot is big and hard to fit, but the 11M fits like a glove!! J. RENEE, I only need 6 more colors and I will own them all!!! This is a beautiful, comfortable shoe. Better that I list the colors that I don't have which is black, I'm not fun of the print on the black shoe. Don't have the green, Denim, Cork or the hot pink, BUT my favorite shoe store (The Shoe Box) just called yesterday and have all four pair on hold for me...yah!!! !..Just keep coming with the beautiful colors...looking for a "GOLD" color next!!!!.. Wish I could give 10 stars. Thanks J Renee for years of beautiful and comfortable shoes!!!! I love this shoe, but I love all my J.Renee shoes. But this one...I have colbolt blue, orange, white, black patent, navy blue and cream, love it, it's a comfortable sophisticated shoe. Everyone loves them when i wear them or any of my J.Renee shoes for that matter.